It's dress up Friday! I started wearing dresses in Friday to really counter the normal 'Casual Friday'. Today's dress is a steal from Sears! I got it 50% off so I paid $35. 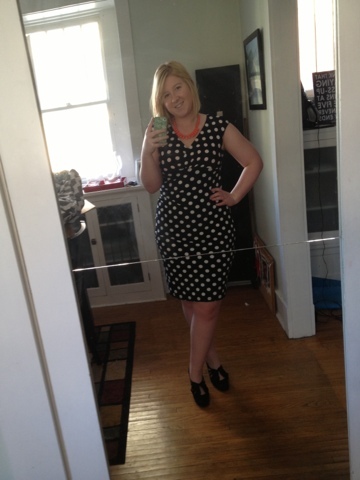 I paired it with a necklace from Target and my Ann Marino Lido pump in black from DSW. 1 comment on "OOTD 7/12"